Asthma is heterogeneous, meaning that there are many different types of asthma, across the whole range of severity from mild to severe. Recognisable clusters of demographic features, clinical characteristics, lung function and inflammation are called “asthma phenotypes”. 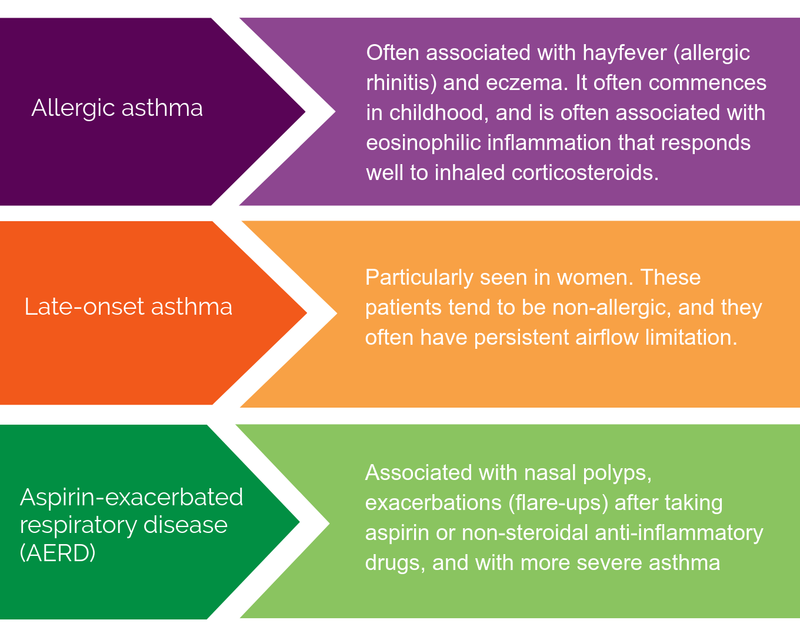 These different types of asthma, although they produce similar symptoms, are likely to have different underlying mechanisms. 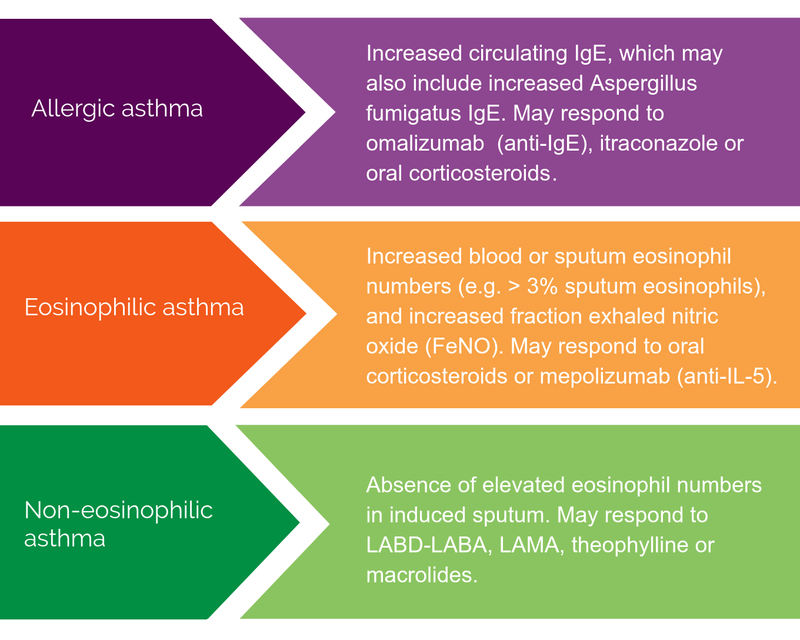 In the severe asthma population, it is becoming increasingly important to carefully characterise the features of asthma in individual patients, in order to identify potential treatment options. These mechanisms are complex. Asthma phenotypes can also be defined based on the patterns of inflammation and immune cell types that are present. Identification of individual features of disease can provide insights into disease mechanisms and can be predictive for a patient’s response to treatment. A number of different clinical assessments can be performed to characterise phenotypes, including sputum assessment and characterisation of other biomarkers. For more information see Diagnosis and Assessment; Phenotyping. In particular, new targeted therapies (e.g. monoclonal antibody therapy) work by blocking specific pathways that are active in specific subsets of patients. Thus, a detailed assessment of biomarkers that may identify these pathways is required before administering these treatments for each individual.